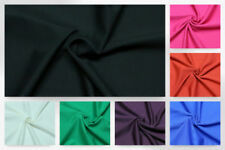 This is a mid-weight stretch jersey fabric that has a fine ribbing in a nice cream shade. You may want to line this fabric due to being a light colour. Add us to your favourites. If you forget to do this at checkout, don't worry! It's soft to the touch and has a nice fall to it. Add us to your favourites. If you forget to do this at checkout, don't worry! If a particular fabric is coming to an end, we'll let you know if this is the case. Mid weight polyester scuba type jersey with a stunning floral print that is a contrast of subtle flowers and bold inky flowers. It's soft and smooth to the touch and has a lovely drape. Add us to your favourites. 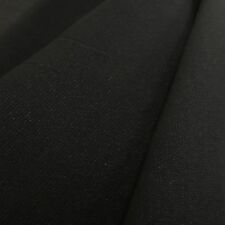 Navy single jersey cotton Does not contain Lycra Great for tops vests and dresses If buying more than 1metre please contact me for a Combined postage quote. Thank you for looking. It's super soft and smooth to the touch and has a lovely drape. If you forget to do this at checkout, don't worry! If a particular fabric is coming to an end, we'll let you know if this is the case. Black 1x1 cotton rib. Does not contain Lycra Great for tops vests and dresses leggings If buying more than 1metre please contact me for a Combined postage quote. Thank you for looking. 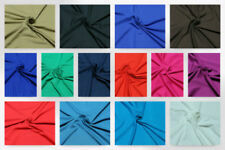 It has a soft slight texture to the touch and has a stunning bouncy drape. Add us to your favourites. If you forget to do this at checkout, don't worry! If a particular fabric is coming to an end, we'll let you know if this is the case. Burnt Orange Rust Jersey Lycra Spandex 4 Way Stretch Fabric Dress Prom Dance 60"
Gorgeous Silk Touch Jewel Rich Burnt Orange Rust. 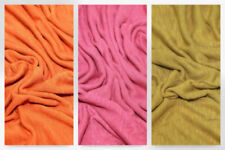 Semi Sheen Lovely Drape 60" Wide (150cm). Salmon Pink. Super soft drape in rich Burnt Orange Rust, perfect Autumn shade. (Dress is for illustration purposes of colour and drape). Dusty Pink Jersey Lycra Spandex 4 Way Stretch Fabric Dress Prom Bridal Dance 60"
Semi Sheen Lovely Drape 60" Wide (150cm). Salmon Pink. (Dress is for illustration purposes of colour and drape). Gorgeous Silk Touch Rich Dusty Pink. Dusty Pink. 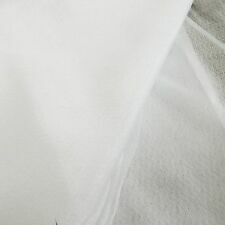 Cream (Bridal Spandex Lycra – Ultra smooth). Material: JerseyWidth: 46 - 59"
Colour: BlueMaterial: JerseyWidth: 46 - 59"
Pale green cotton lycra double jersey 150cm Medium weight Suitable for outerwear and leggings If ordering more than 1metre please ask for an invoice for a postage quote. Also available in pale green. Thank you for looking.